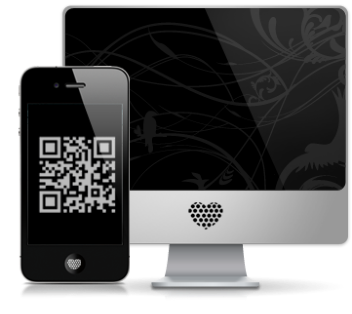 A QR code is a 2D barcode, usually found on printed media. 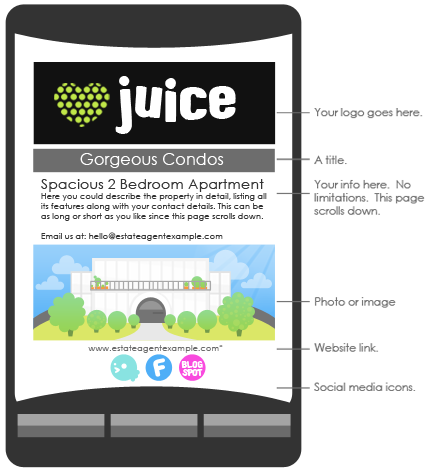 Using only your smart phone, a QR code act as a hyperlink, taking you directly to a mobi- website right in the palm of your hand, anywhere, any time. What are QR Codes? QR codes allow any mobile camera phone to connect seamlessly to your very own Juice designed mobi-site (see right) delivering ‘brand to the hand’ quickly and easily. Your customer simply scans your code with their phone, connecting them instantly to your desired content. See it. Scan it. Get it. Genius. The process explained. All you’d need to scan a QR Code is a phone with internet access and a camera. It’s quick, free and easy. There are lots of QR code readers available. Here are the most popular readers. Please visit the following links to download: iPhone QR , Nokia QR , Andriod QR or Blackberry QR. How do I scan a QR Code? What will my Mobi-site look like?